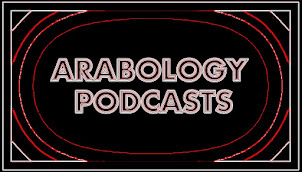 ARABOLOGY: Arabology Podcast #8 (May 31) ft North African Arabic Music, Voice Impersonating Singer and Arabic Version of 'I Will Survive'! Arabology Podcast #8 (May 31) ft North African Arabic Music, Voice Impersonating Singer and Arabic Version of 'I Will Survive'! The 8th Episode of the 2nd Season of 'Arabology' (aired May 31, 2012) highlights Arabic music from North Africa and includes my interview with Moroccan Voice Impersonator/singer Wafaa Salaje who belts out (live) songs by Fairuz, Faiza Ahmad, Asmahan, Riad Sombati, and others. Show also includes my interview with Moroccan singer Houda Ben who discusses North African music (Rai and Gnawa) as well as her own budding musical career with 'The Neybuzz'--while providing us with an impromptu excerpt on the air. Show also features a very romantic 30 minute love segment featuring mellow and luscious Arabic tunes as well as awesome music tracks by Mike Massy, Dany Baladi, Cheb Nasro, Khaled, Cheba Djenet, Darine Hamze, Marcel Khalife, Adonis, Abou Elleeef, Fairuz, Zeid Hamdan and the Arabic version of 'I Will Survive' by Haifa Wehbe!